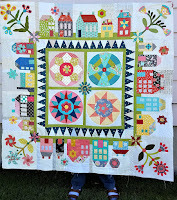 Seamless Piecing: What's Wrong with My Applique? 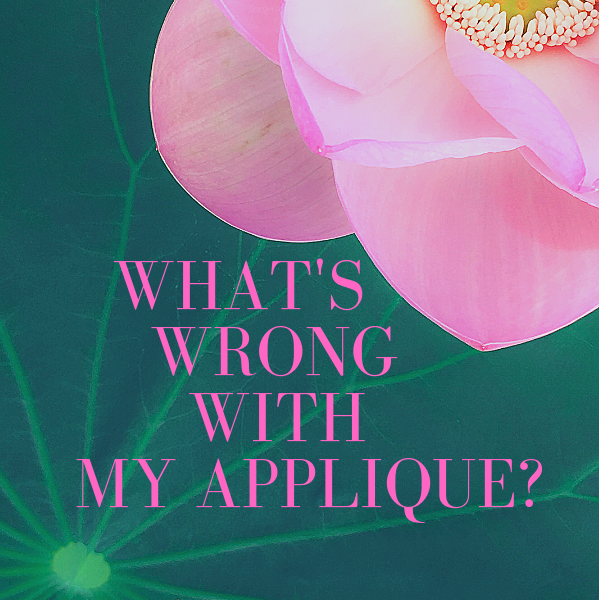 What's Wrong with My Applique? With Christmas just around the weekend, you probably expected this week's post to include a plethora of last minute gift ideas. 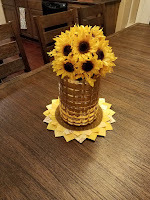 If you are disappointed, here are links to some projects from the blog that are quick to make. 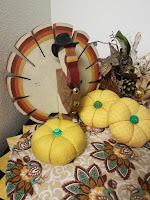 Pincushions - Use a bright floral fabric and an extra set of ribs and these pumpkins become cute Spring posies. Or make them red with a star shaped felt top, you have tomatoes. Do you know why tomatoes are associated with pincushions? If you do, share with us in the comments. If you don't know, but want to, leave that in the comments too. I'm happy to share odd trivia. But you already knew that. If you make the pincushions square instead of round, box the corners then tie them with ribbon, they make cute little Christmas prezzies. Tiny ones (2 1/2") filled with rice make cute and functional pattern weights. Trivet - These don't have to use Autumn colors. And... Spoiler alert... the Dresden plate will come in handy in an upcoming bonus project. Now you know my secret to housekeeping: Dust is a protective coating for furniture. I tell my kids, "You can write your name, just don't put the date." Rice filled foot warmers - Winter is just taking hold. It will be a long one if you have cold feet, or hands, or bed. If these choices don't solve your last minute gifting problems, give Caroline over at SewCanShe.com a try. She always has cute little project ideas. She posted a very cute gnome project recently. I'm a sucker for gnomes. 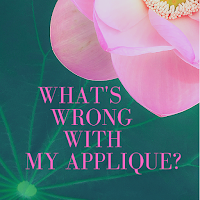 The wonderful world of ... APPLIQUE! I'm sorry you haven't got it together by now. Check out this post if you still need help. Put today's post on the back burner for now. You may want to refer to it later, when the Holiday flurry is over. Why do I infer there is something wrong with my applique? Well... There isn't. But it took me a while to figure that out. 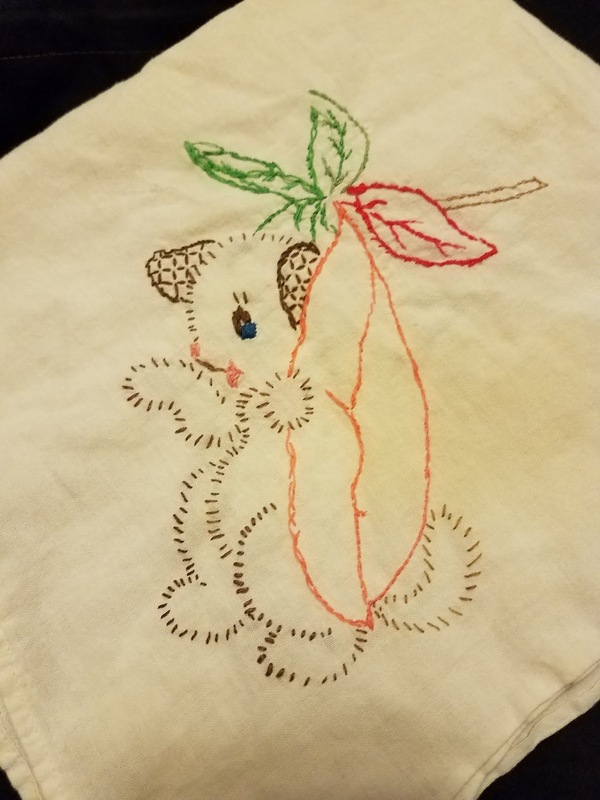 My mother taught all 6 of us children how to do embroidery before we could read. I guess when you have 5 preschoolers at once you want to keep them focused on something other than each other. With that foundation, I had enjoyed other types of handwork off and on throughout my life. Needlepoint, counted cross stitch, punch needle, etc. 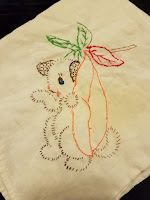 Naturally, it followed that one of the first non-patchwork quilting classes I signed up for when I started quilting a few years ago was a hand applique class. 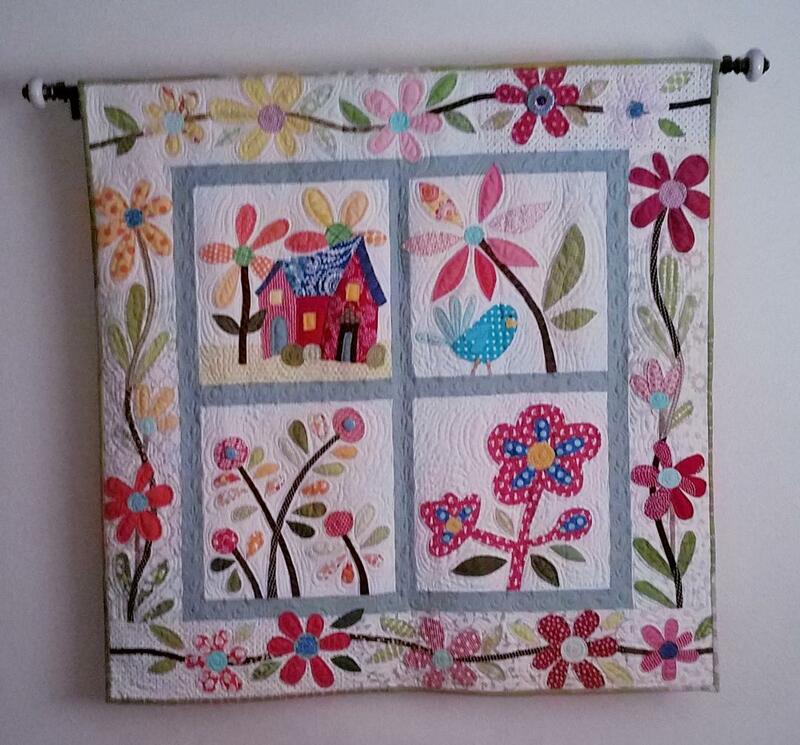 In that first class I learned that "Applique is done by sewing one fabric on top of another." With that nougat of wisdom and a demo of basic stitching, we were turned loose to work magic with needle, thread and fabric. After a learning curve that was mostly resolved with practice, I thought I'd gotten pretty good at it, so I signed up for another, more advanced, class. In the second class we were taught several different methods of applique. 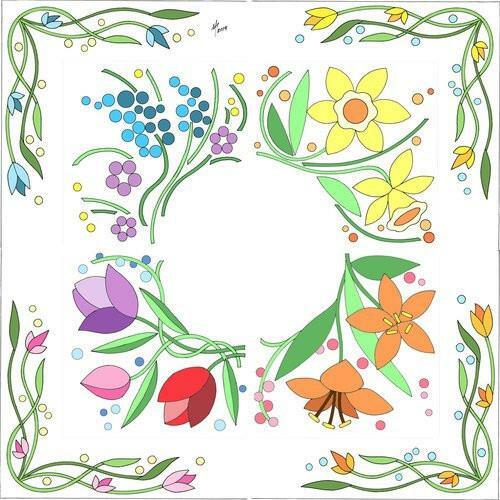 There was needle turn, template and several choices of Freezer Paper applique. I fiddled with those techniques for a while and realized there was more to this than I than I had imagined. In another class, we were taught to make a vinyl overlay and add our pieces under it. Otherwise, we were doing it "wrong". 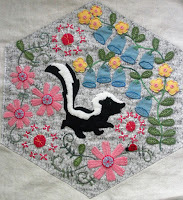 I got so nervous, one of my blocks ended up done in reverse applique. Then somewhere along the way, someone suggested the top fabric should appear to be painted, not sewn, or it's "wrong". While surfingYouTube, the worlds most diverse university, I learned yet another applique method from Kerry at Simple Bird Studio. 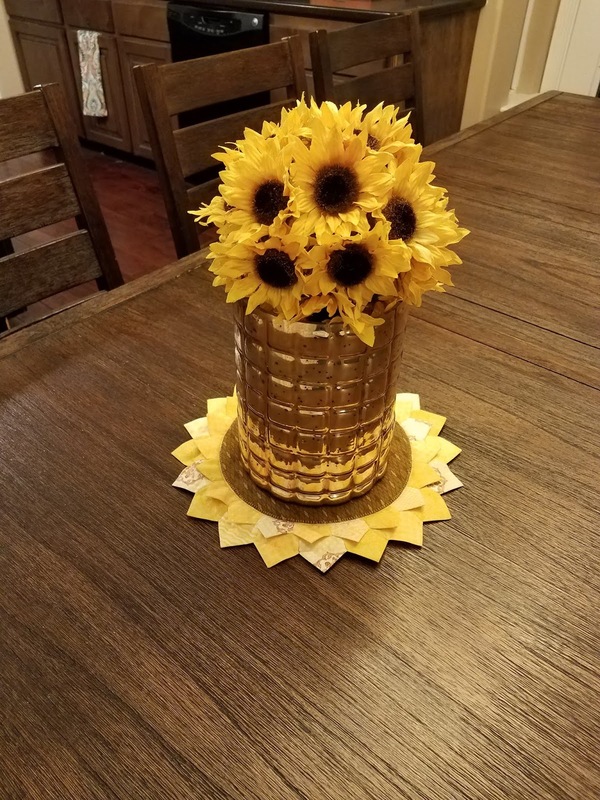 This one uses templates and glue. 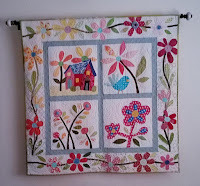 Kerry does an intro to hand applique series on YouTube that includes this free pattern. She makes the process much easier than it looks. After my previous frustrations Kerry's series was a breath of fresh air! This technique is my personal favorite. Except I draw fewer lines. 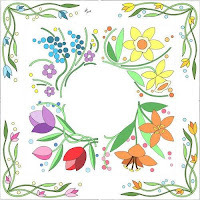 We can't talk about applique without mentioning the easiest type, Fusible, which is often coupled with Machine applique. Fusible has it's own rules. 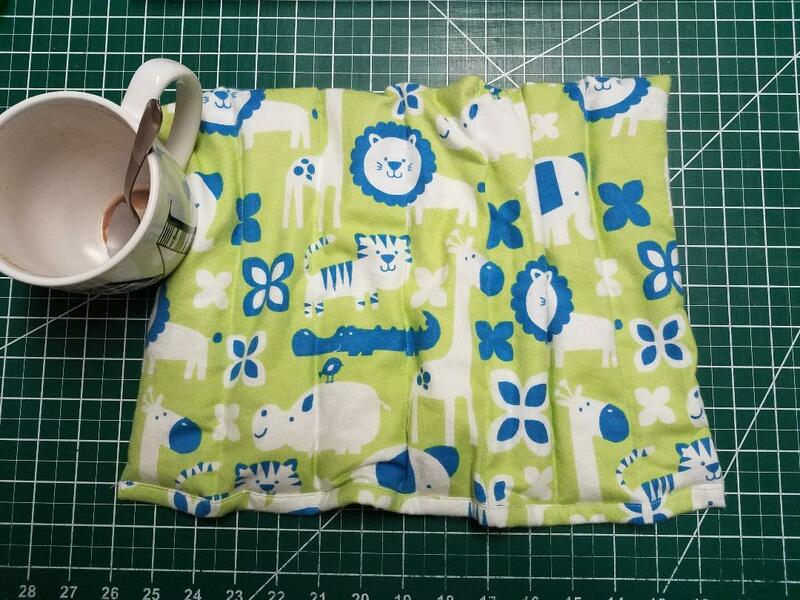 Follow the instructions that come with the fusible product. And don't forget Raw Edge applique, it also uses a machine to finish. Kansas Troubles does some very clever things with it. Currently, I'm working on a wool applique/embroidery piece. And by "currently" I mean a couple of years and counting. Wool has it's own stitching strategy. But it's more forgiving so my stitches are LESS wrong. 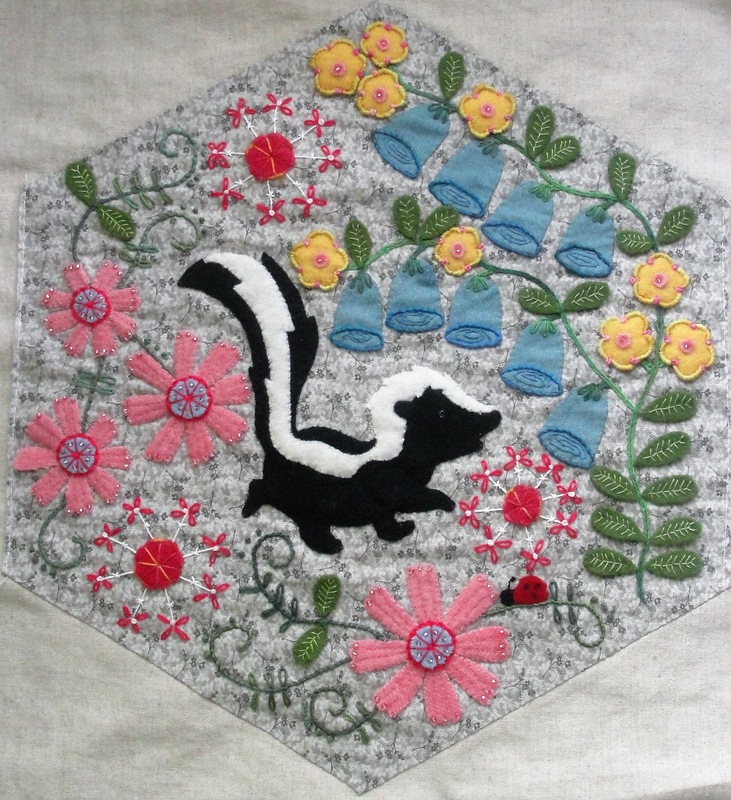 I suppose I should admit that most of my (non-wool) applique these days is done on the machine. 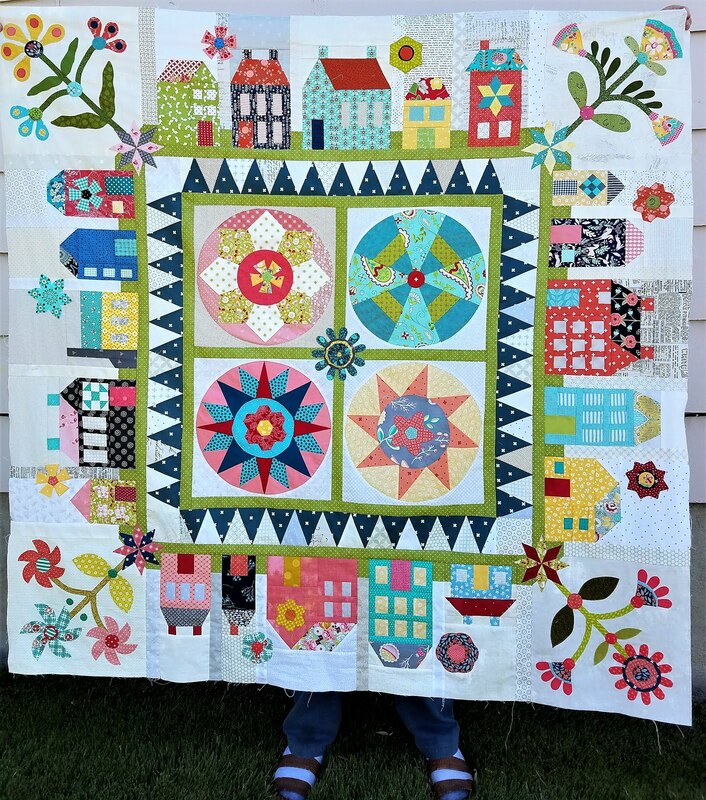 Since developing the Seamless Piecing technique and getting the right tools, I've really learned to love using the machine. I've given all the mentioned techniques a good faith effort, regardless of pain or frustration. 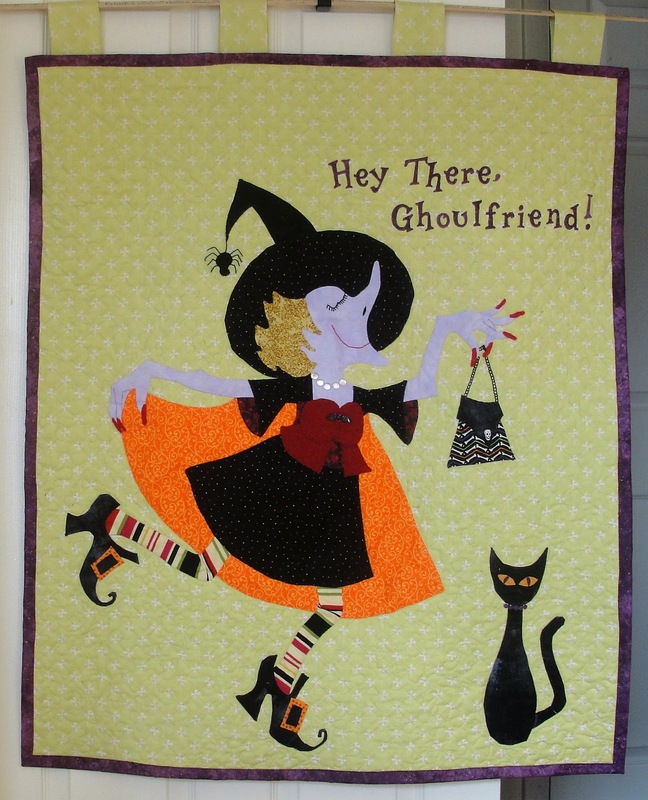 Has my applique skill improved? But I'm not convinced the improvement has been a result of the many techniques I've tried, so much as a result of the many stitches I've stitched. What I know for sure is, sometimes I like my applique to look poofy, not painted. And sometimes I like it to lay flat. Most times I just want one fabric sewn on top of another, just like I learned in the beginning, and whatever method, or combinations of methods, I choose to make that happen is right enough. 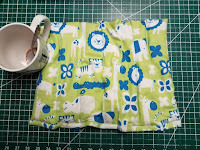 These are not the only methods of applique. Not by a long shot! That alone should tell us that "Wrong" is a matter of opinion, not a matter of technique. 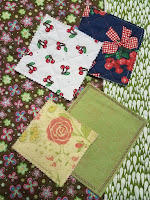 I agree with the wisdom of Lori Holt of Bee in my Bonnet: I am the boss of my quilt. 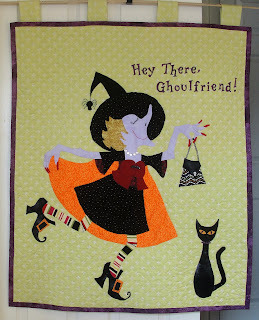 And BTW, Lori has her own method of Applique that we'll be using VERY soon....Spoiler Alert! I encourage you to round up your needles and thread, and do some YouTube surfing on the links above. Try something you haven't tried before. You may find a new technique you love, or you may discover that you prefer a combination of techniques like I do. Let us know in the comments what techniques you prefer. If you try something new, tell us about your experience. If you love a technique I missed, share that with us too. Most of all, I wish for you a very joyful holiday filled with Peace on your corner of the Earth. Feel free to follow here and on Facebook. I'm working on a DARLING winter project to share with you next week. If you have a spare minute, you may want to watch Lori Holt's Video linked above.